The weird war of 1947 envelops more of Europe as the Italians split to join both Axis and Allied forces. 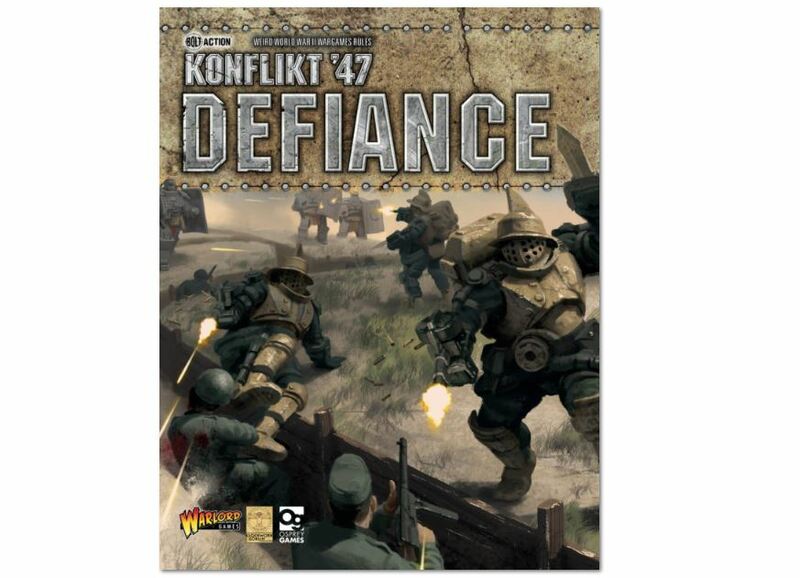 Plus new weaponry is introduced in the brand new supplement, Defiance, to take your Konflikt ’47 games to a whole new level! This book is the second supplement for Konflikt ’47 and seeks to expand the game’s boundaries further by introducing more units, forces and army build options. The largest section of this supplement introduces the divided nation of Italy, with the forces of the Royalist Co-Belligerent Italian Army (Eserciti Cobelligerante Italiano or ECI), fighting their former allies, the German Wehrmacht. Mussolini’s remaining forces, the Fascist National Republican Army (Esercito Nazionale Repubblicano or ENR) hold the north of the country propped-up by the German military machine. As in the previous supplement, we have looked at some of the existing rules that needed refinement, and have introduced further rules to allow the use of more elite and specialised units. Players of the existing five core armies will also find something new for them as well, with each nation getting some new units from their respective Rift-tech laboratories. The book is divided into four sections, the first covers the new rules and errata, as well as the rules for national variations on the standard Reinforced Platoon structures in Konflikt ’47. The second introduces the fractured nation of Italy, with both some expanded history and the details of its forces. 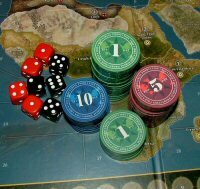 Then we turn to the new units of the existing nations before the final section presents additional information on the Konflikt ’47 setting, including a small mini-campaign that is set firmly in the Konflikt ’47 alternate history.